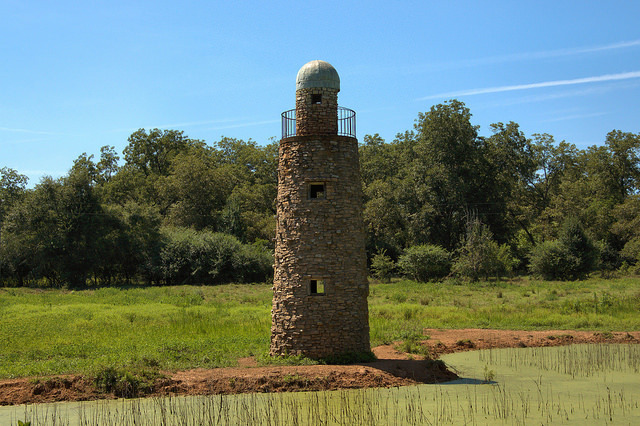 From Anne McDaniel, here’s a history of this curious landmark: “Mr. A. D. Williams was a peach farmer. We think he was the first peach farmer to ship peaches out of Georgia. He had no children and the people who worked for him were treated like family. He built a dance pavilion in the middle of the lake across from his home and once or twice a month would have picnics for the workers and they would dance until the wee hours. He enjoyed bowling and he had a two Lane bowling alley in his basement. 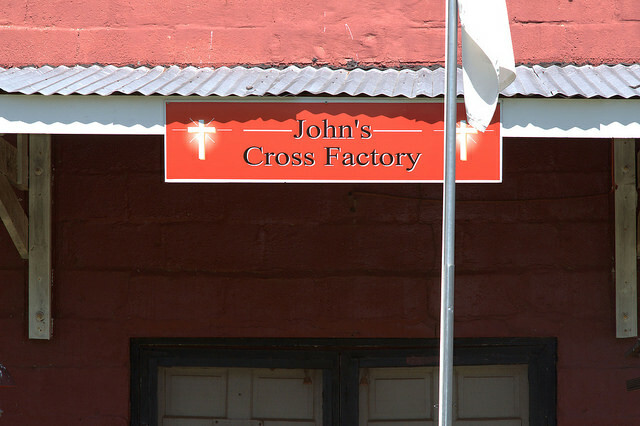 This local landmark has been closed for many years. 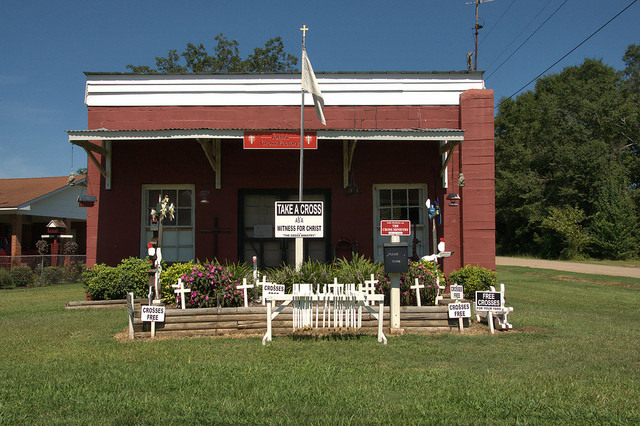 In front of this converted old store are white wooden crosses, left outside and given freely to those who want to display them as symbols of their faith. 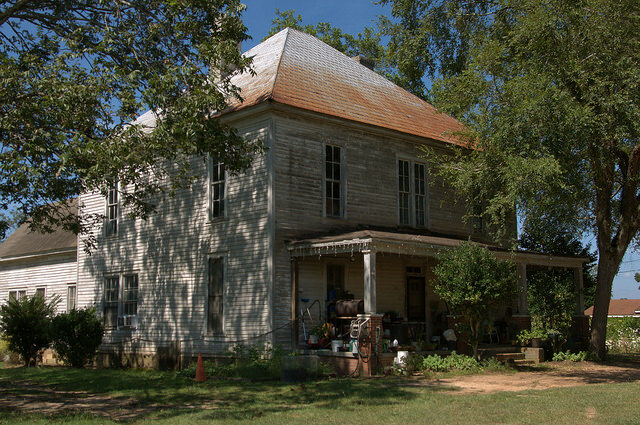 I believe this was built around the turn of the last century and was once used as a hotel or boarding house. 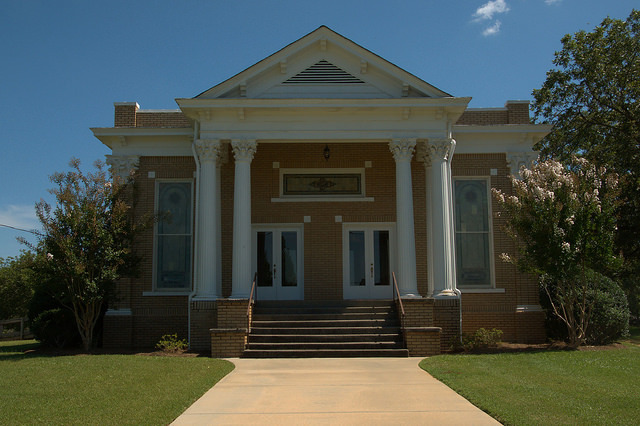 Established as Friendship Methodist Church in 1853, the first home to this congregation was a simple frame structure. 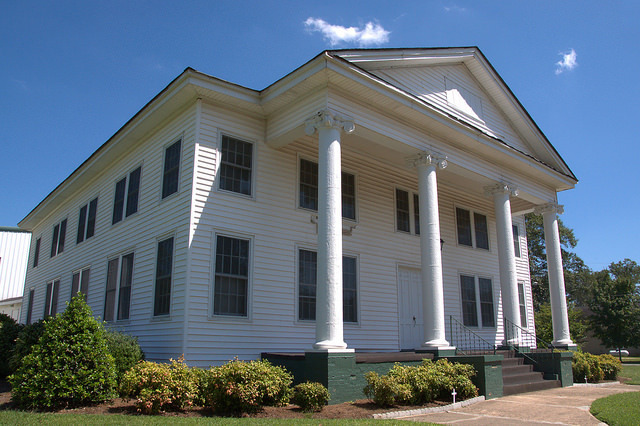 A more formal structure was constructed in 1885. 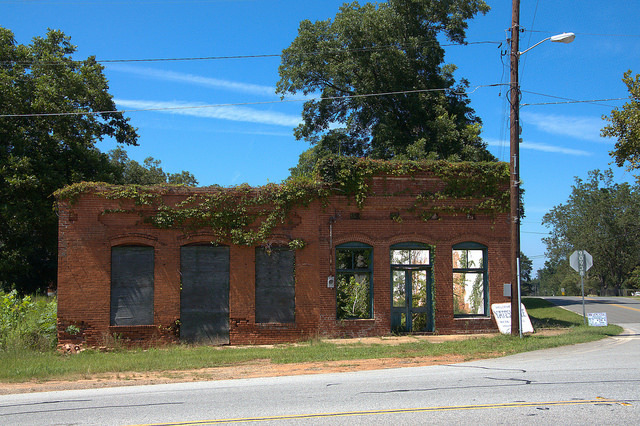 It was razed and the present structure built in 1919. This congregation dates to 20 September 1896, though I’m unsure when the present building was constructed. 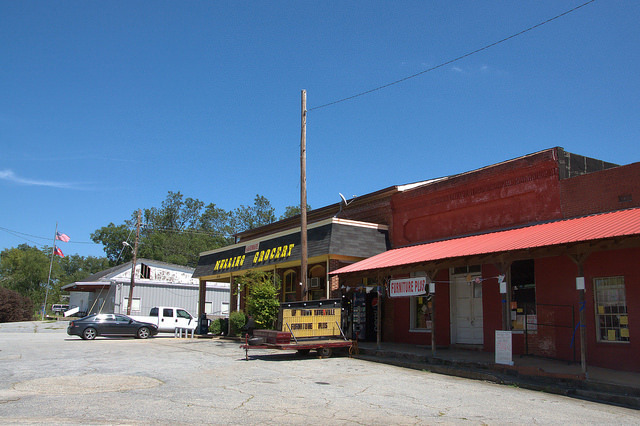 It’s a nice style, somewhat unusual in Georgia.